The Oxford Flood Network is a citizen science project to keep tabs on flooding in local waterways. 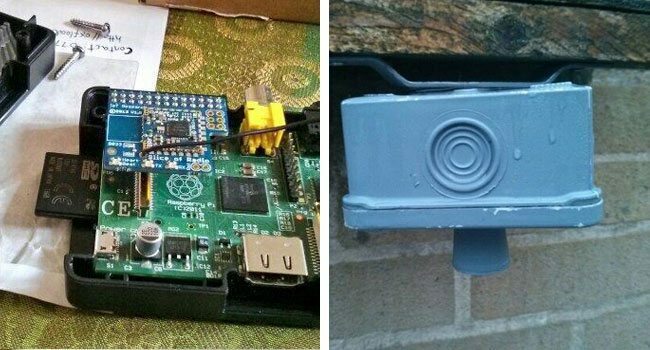 It’s an example of how the Internet of Things can enable a community to be more connected to its environment (Which is especially relevant in this area after the destructive season of flooding that hasplagued much of the UK since the end of 2013). Ben Ward, founder of UK startup Love Hz, is the brains behind the project. His company specializes in wireless sensor networks, and is leading development of the low-cost, open-source equipment andsoftware that will monitor water levels in the Oxford floodplain. The idea is to design sensors that are cheap and easy for citizens to build and install; the data will be published openly so anyone can use it to improve emergency alerts and gain a better understanding of the ecosystem. All of this comes on the heels of some of the worst flooding the UK has seen in years with two severe warnings still in place. 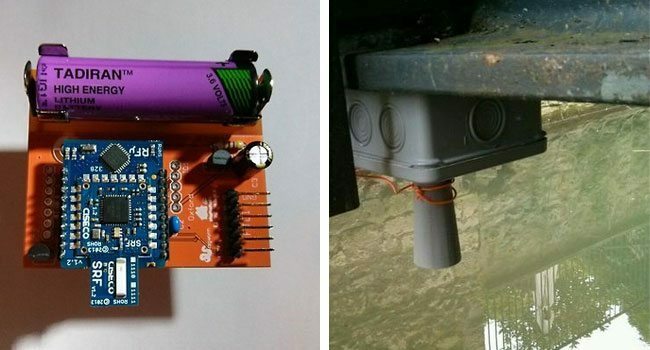 Each sensor is designed to live under a bridge or overhang above the water. An ultrasonic rangefinder sends out “pings” — like a bat’s echolocation — to determine the water level at five-minute intervals. The latest version runs on a small battery and includes a temperature sensor that helps account for the speed of sound varying with air temperature, which could otherwise throw off readings by several centimeters. The network that allows these sensors to communicate relies on an experiment run by the UK’s telecom regulator, which opens small bands of spectrum between television channels. Appropriately enough, these gaps are referred to as “TV whitespace” or TVWS, and they’re great for widely distributed, ad-hoc communications like the Oxford Flood Network. Thus far, Ward has focused on creating a functional prototype sensor, and is working on creating some visualizations based on the data it’s collecting — so there isn’t a full network per se in place just yet. But monitoring waterways near Oxford is only part of the goal. 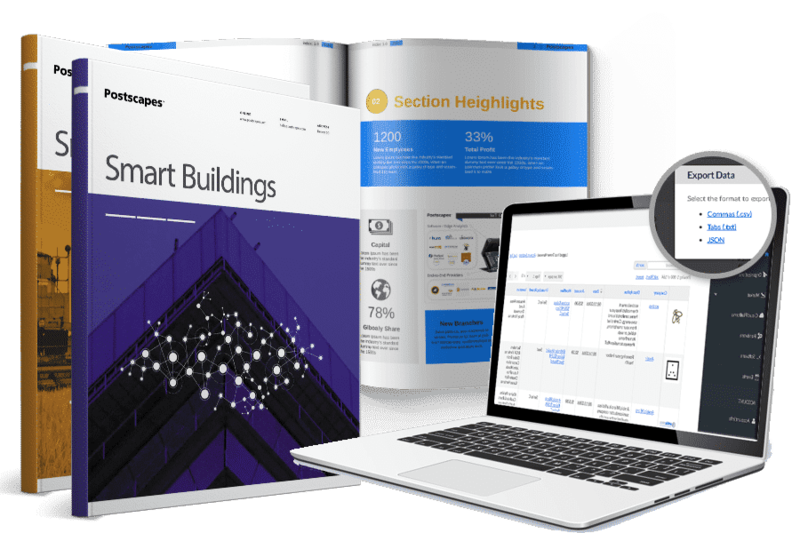 The project is also meant to serve as a proof-of-concept and a reference for other communities to do their own crowdsourced environmental monitoring. Learn more at OxFloodNet.co.uk, or jump into the discussion by joining the project’s email list.